It's Geeky: Skin experts and AI evaluate his skin situation and match it with the right products. He will brag to the guys about it. It's Easy As Pie: He will get fresh data-driven product every month. Only what his skin needs now. Nothing more. Nothing less. It Keeps Up: When his skin changes (think hot Summers and cold Winters), his skin care plan adjusts automatically. You're welcome. It's Measurable: We use data to objectively measure his progress. He will always know where he stands and what to do. Boom! 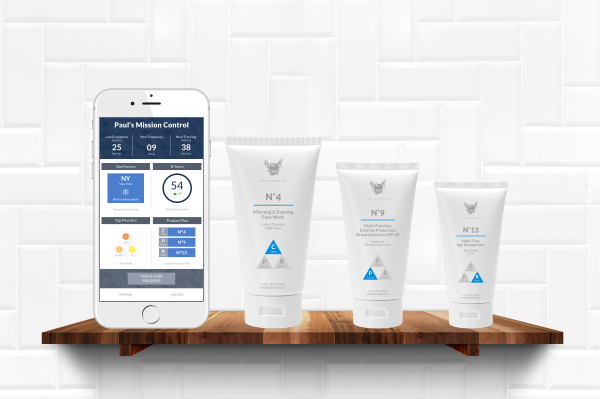 Guys can pre-order Beast's Intelligent Skin Care by completing a Skin Evaluation. We're working hard on a beautiful and simple gifting app. Want early access to it? No problem. We will send you a quick email when it's ready!